The Cafe Laurent is located in Saint Germain des Prés neighborhood, a stone throw from the Seine, in the Hotel d’Aubusson, a 17th century building. 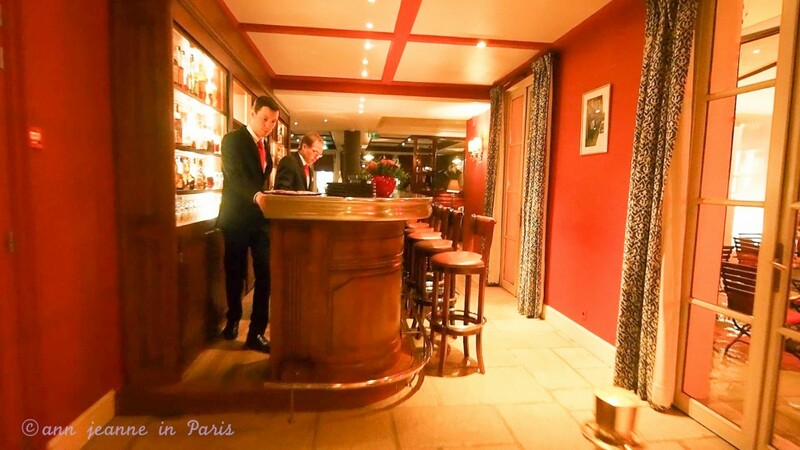 It’s a bar with an elegant and cosy interior, furnished in Louis XV and Regency antiques with a large fireplace lounge, just next to the bar and an enclosed patio. 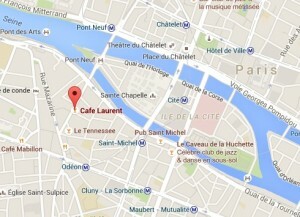 You can attend a live Jazz evening at the Cafe Laurent, on Wednesdays, Fridays and Saturdays. 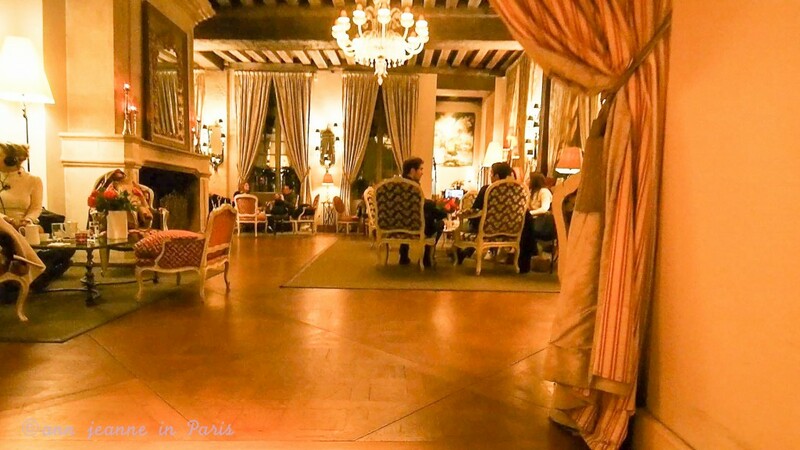 The Cafe Laurent first opened in 1690. Amongst its customers : Robespierre, Rousseau and Voltaire. After Le Flore or « Les 2 magots », had closed their doors for the night, it was the haunt of the existentialists. The intellectuals, the musicians and poets of Saint Germain and Montparnasse used to come to Le Tabou. 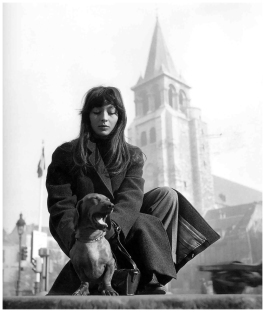 Amongst the regulars : Boris Vian, Jean Cocteau, the legendary jazz musician players Miles Davis and Louis Amstrong, Juliette Gréco, Camus, Jean Paul Sartre, Simone de Beauvoir, Yves Montand, Simone Signoret … And also Juliette Greco*, the muse of the Saint Germain des Prés 50s. In 1948, the cafe changed its style and became a closed Jazz club. 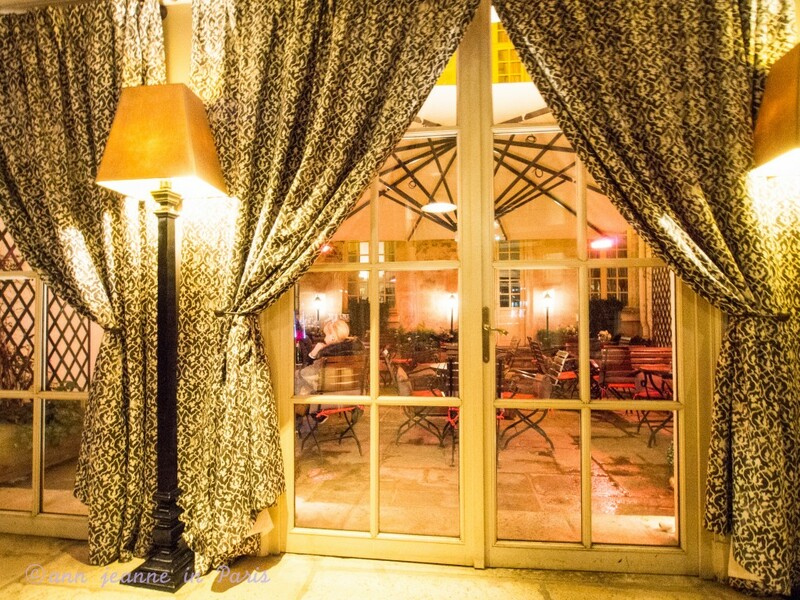 The intellectuals left Le Tabou and chose to go to a newly opened club : Le Club Saint Germain (rue Saint Benoit). 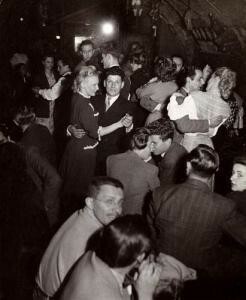 But “Le Tabou” remained a very popular Jazz club. 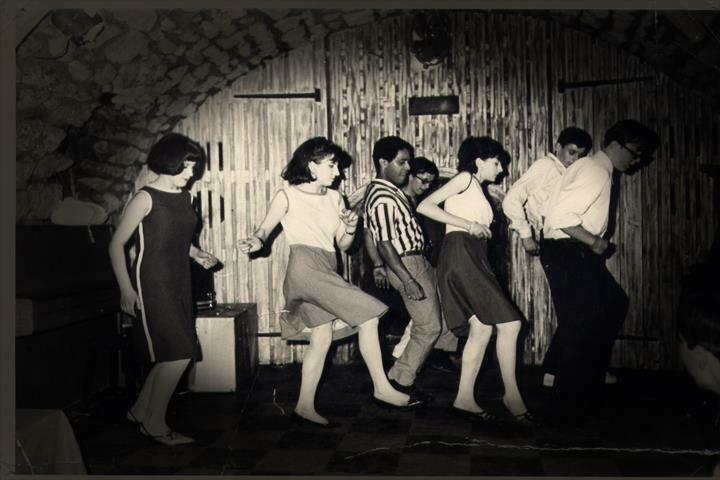 In the 80’s, and until the end of the Le Tabou was still a iconic club where people used to go dancing, but on different styles of music (often disco). A club where I used to go. 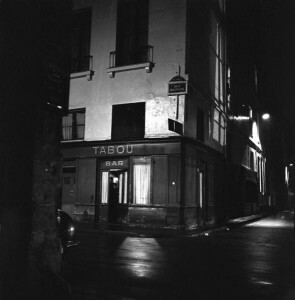 The Tabou closed its doors in the late 90s. 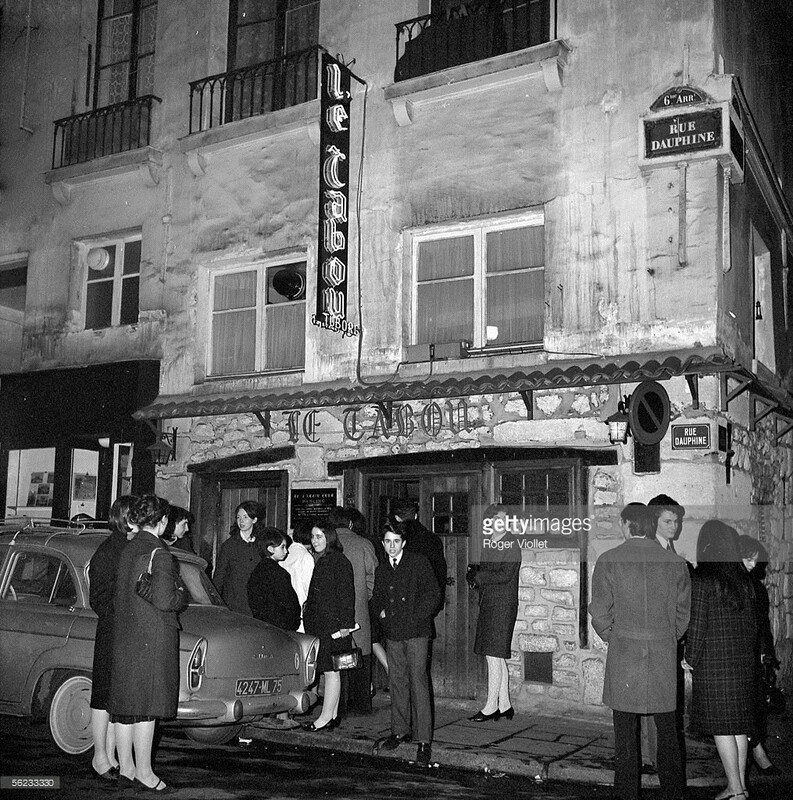 What did Le Tabou look like ? 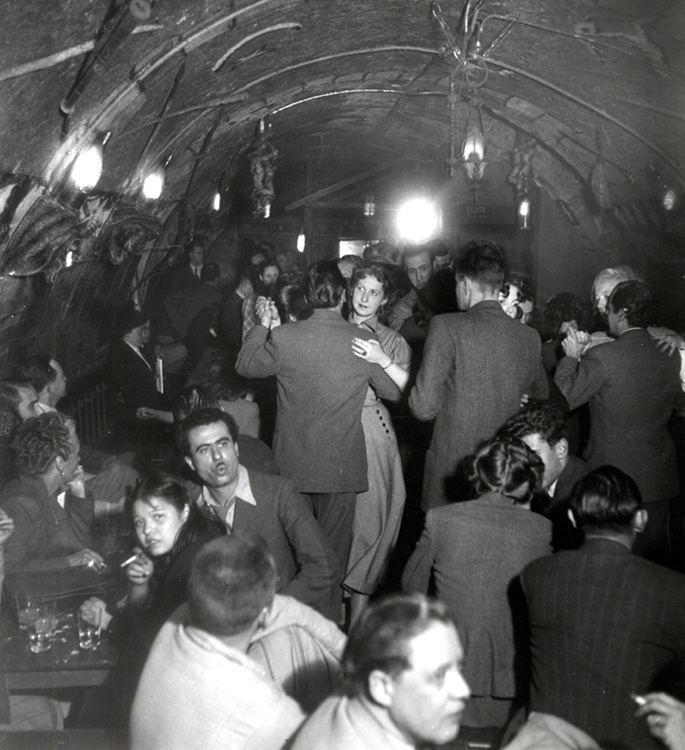 Le Tabou was a cellar club downstairs bar. The entrance door to Le Tabou opened directly on Rue Dauphine. Upstairs, there was a cloakroom, toilets and a small bar. Down the stairs, was the cellar club, a beautiful vaulted cellar. There was a tiny stage at the far end, a dance floor and a bar at the other end. Who is Juliette Gréco ? Juliette Gréco, a French singer became a symbol of French intellectuals after WWII : the muse of the existentialists (she invent the word. 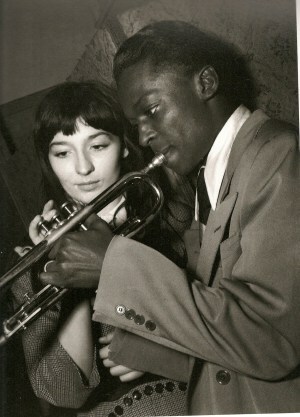 Juliette Gréco is still very popular. 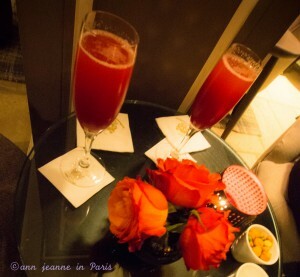 Le Cafe Laurent is a confortable bar with a wonderful service and welcoming. The evening you go to Café Laurent, you could take a walk Saint Germain des Prés neighborhood, an historic, classic and quite sophisticated part of Paris. A charming part of the city.